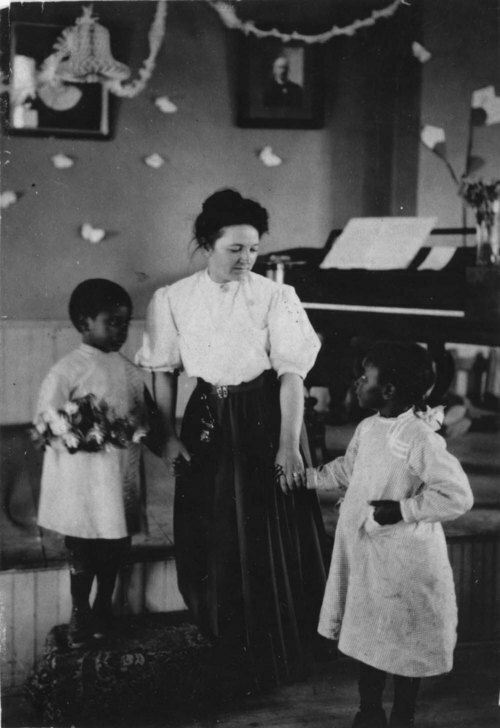 This is a view of teacher June Chapman with two of her Tennessee Town Kindergarten students in Topeka, Kansas. This was the kindergarten for African American children sponsored by the Central Congregational Church, Topeka, Kansas. Dr. Charles Monroe Sheldon started the kindergarten in 1893 and served as pastor of the church from 1889-1920.